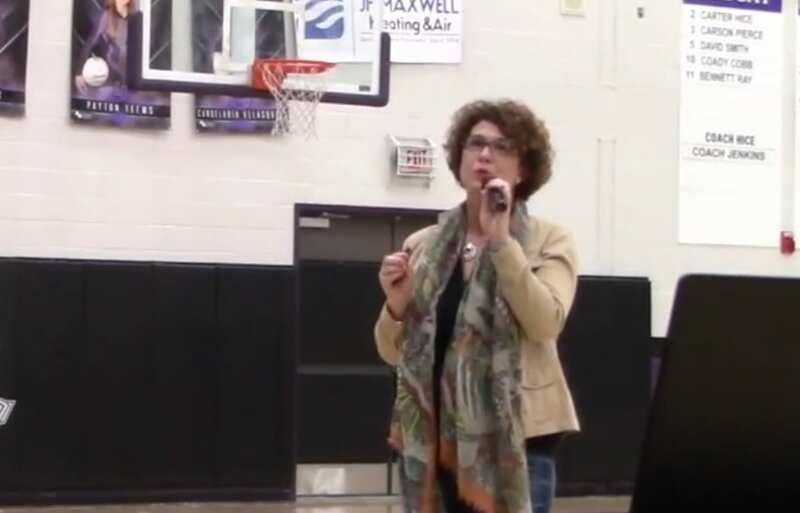 ELLIJAY, Ga – The Appalachian Judicial Circuit’s District Attorney, Alison Sosebee, began her campaign today in Fannin Middle School and Gilmer High School with presentations for students about the rising trend of vaping in all forms. Speaking to the students she shared some of the responses that authorities have begun included harsher penalties for vape devices in general, not to mention the felonies possible with controlled substances. Using drugs in the vape devices like the popular Juul brand devices is only a part of growing concerns as authorities and administrations fear for students who expect non-nicotine flavored water vapor in devices they may find friends with when in reality these devices could contain anything from Heroin to Synthetic Marijuana. Sosebee also invited Georgia Bureau of Investigations Special Agent Dustin Hamby to speak about the Bureau’s involvement. Hamby noted that almost 90% of his cases tied to drug usage in some way. He goes on to note that he’s had three murders in his career directly related to drug usage. Sosebee recalled the story of a case she and Hamby shared about a guy who had taken drugs with a close friend. Under the influence, he grew greatly agitated at his friend and violently murdered him without full realization. He spoke further about how little it takes to blow up into major consequences in situations like vaping unknown substances. Sosebee also noted that they are finding that many students and users of vape devices believe them safer than regular cigarettes. She noted that not only is there zero research to support his claim, but there is also no research or regulations on vaping devices right now. No one can tell you everything that is in Vape Juice, nor if people at smoke shops are adding extra ingredients. She called the students this generations guinea pigs for testing if vaping as they would be the cases that doctors study thirty years from now to determine the actual effects that Vaping can have in both short-term and long-term effects. Only the first day, Sosebee is expected to travel to Fannin High, Pickens High, and Pickens Middle schools in the next two weeks along with possibly adding Gilmer Middle as well.